As we get closer to the most amazing summer of 2012, one of the things we think a lot about is the trips that all of our campers will go on! Trips have always been an important part of the Camp Jorn experience. Canoe trips on our beautiful chain of lakes, hiking trips to the Bay, or even day trips on camp property are opportunities to grow and learn. Some people really love trips. Some people get annoyed by the weather or the bugs. 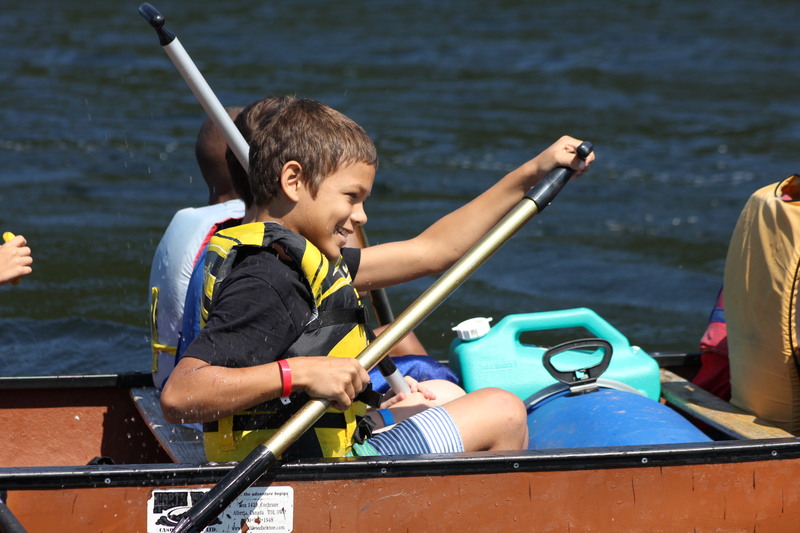 At Camp Jorn, we believe the great things about trips heavily outweigh the challenges!! 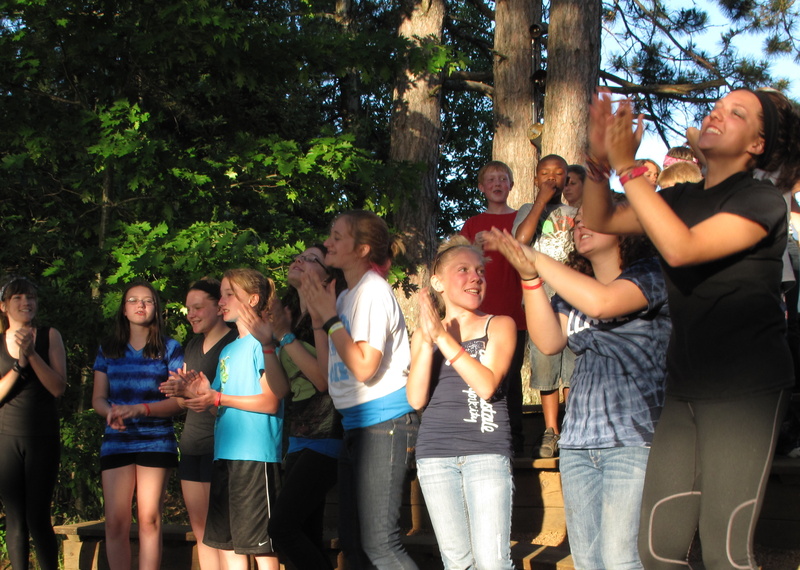 As a Camp Jorn camper, you will definitely get a chance to learn some true camping skills. Our staff are eager to teach CJ campers about things like how to set up a tent, how to gather different kinds of wood and start a campfire, how to cook a meal over a camp stove or fire, how to paddle a canoe or pack a backpack properly, and how to leave your campsite looking like no one was there. It’s the art of minimum impact camping, and we’re proud to show it off! Usually, our younger cabins go on a “day trip,” or a short overnight trip close to camp as their first trip experience. Fox Island is a great place for these kinds of trips, as is the Bay, and even the athletic field in the middle of camp! Some of our younger cabin groups have even been known to set up a tent in their cabin! In any case, younger campers learn some of the basics about camping, and they play some fun games with their cabin in the process. Older cabin groups go on a one or two night trip, and learn a bit more about what it takes to live in the wilderness for a short time. We are so proud watching these campers go out with their counselors and JCs in canoes or on a backpacking trail! Although sometimes it rains, or the mosquitoes come out to play, everyone who comes back from their trip can say “I did that!” These kids learn the value of working together to get where they want to go, provide their own meals, and get along in a small group. And they usually have a great time, and have some great stories to tell when they get back!! TEVA campers go on a 3-4 night trip when they’re at camp. 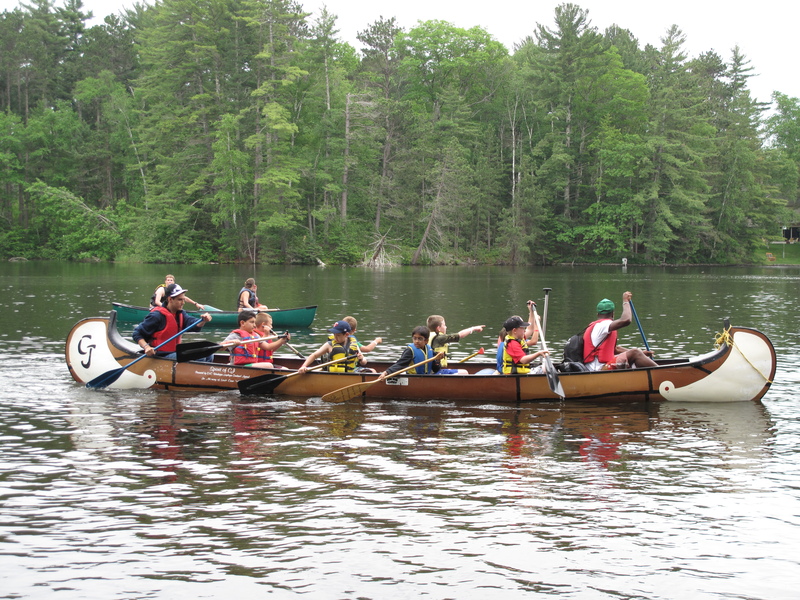 CITs are gone for 5-8 nights on a canoe or backpacking trip. The sense of self-confidence and accomplishment these leadership campers gain while on this trips is clearly evident when they get back into camp. And the close-knit feeling of the group is a bond that can’t be broken- ask any of the TEVAs and CITs you know!! Not only do trips help increase self-esteem and bring a group closer together, but research shows that trips help kids learn self-efficacy, or the concept that we can control our own functioning, and the events that affect our lives. Check out this link for an excellent article on this concept. I especially like this excerpt from the article: “An individual’s positive judgment based on their efficacy promotes active involvement in activities and contributes to the growth of competencies needed in that activity.” In other words, the self-efficacy learned on the trail carries over in a positive way into the life of the child outside of camp. Let us know your thoughts on trips! We’d love to hear what trips you’ve been on, what you learned from them, and encouraging words for our campers who have not yet experienced a trip! Posted in Alumni, Campers, Parents, Resident Camp, Staff and tagged 2012, adventure, backpacking, camp, Camp Jorn, Camp Jorn YMCA, campers, campfire, camping, campsite, canoe, CITs, CJ, cook, Fox Island, fun, hike, learn, learning, nature, paddle, summer, tent, TEVA, tripping, trips. Bookmark the permalink. I know, it’s crazy, right? Learning is what you have to do the rest of the year at school!! Camp is all about fun, activities, and friends, not learning!! Hate to break it to you, but there’s actually a LOT of learning going on at Camp! But don’t worry, it’s only the FUN kind you don’t even notice. Check it out- you’re really learning all these great things! Feel free to comment and share some of the things you’ve learned at camp. Posted in Alumni, Campers, CJ Bear, Parents, Resident Camp, Staff and tagged cabin, camp, Camp Jorn, campfire, canoe, counselors, friends, fun, learning, self, summer. Bookmark the permalink.